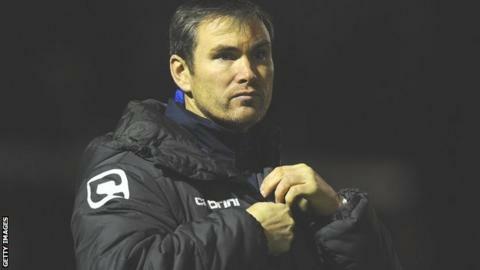 Manager Kevin Wilkin says Wrexham need to forget about defeat at Chester and refocus for their next game. Blaine Hudson gave Wrexham an early lead but Craig Hobson and a late Ben Heneghan goal secured a 2-1 victory for Chester. Wrexham host Eastleigh in the Conference on Saturday and Wilkin wants a response from his players. "We have to dust ourselves down and we have to focus on the next game," Wilkin said. "I want a response and a reaction and look to take the points on Saturday." Wilkin said his side did not deserve to lose at the Deva Stadium but acknowledged they failed to capitalise on a number of chances. Wes York and Connor Jennings had good chances to double Wrexham's lead after Hudson's second minute goal and Wrexham ultimately paid the price for those misses. "I'm bitterly disappointed with that," Wilkin added. "There's so many chances we've had through the game really that the game's got to be sewn up and out of sight. "I know what it means to the fans and the people of Wrexham, and we've given ourselves a great opportunity tonight to take all three points. "To come away with nothing is really a kick in the teeth."